Head of the IDF’s Central Command says Operation Brother's Keeper will continue until the two murderers are found. The IDF said on Monday night that, even though the bodies of the three kidnapped teenagers have been found, Operation Brother’s Keeper is far from over. Major General Nitzan Alon, head of the IDF’s Central Command, told reporters that the IDF is determined to continue the operation until it finds the two terrorists who kidnapped the boys and murdered them. “A few hours ago we found three bodies west of Halhoul. I want to send a warm hug to the Sha’ar, Frenkel and Yifrah families," said Alon. He continued, "Even at this moment, thousands of soldiers and commanders are continuing their mission. The task is not over as far as we’re concerned, even now we continue the search for the kidnappers and we will not rest until we've completed the mission." The IDF has already identified the kidnappers as Marwan Kawasmeh and Amar Abu-Eisha, both of whom have been arrested numerous times and are well known Hamas terrorists in the Hevron area. The two terrorists remain at large but, according to media reports, security forces believe they likely could not have gotten far and could be located within days. 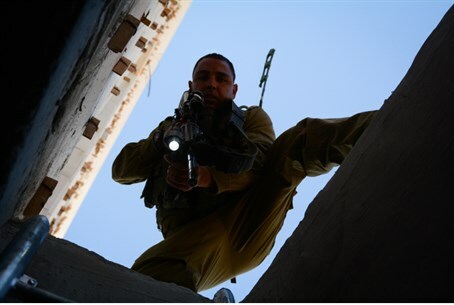 On Monday night, security forces demolished the homes of the two terrorists.